If there is one region that represents the booming fortunes of Dominican Republic tourism, it is the resort town of Punta Cana on the country’s eastern coast. Punta Cana was launched as a resort in 1969, when investors headed by noted U.S. labor lawyer Theodore W. Kheel teamed with businessman and hotelier Frank R. Rainieri to acquire 18.5 square miles of jungle on the Dominican Republic’s east coast. 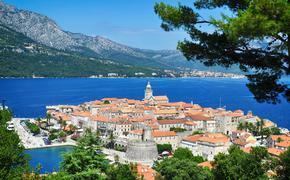 At the time, the region featured hundreds of white-sand exotic beaches, thousands of coconut trees and no access roads. 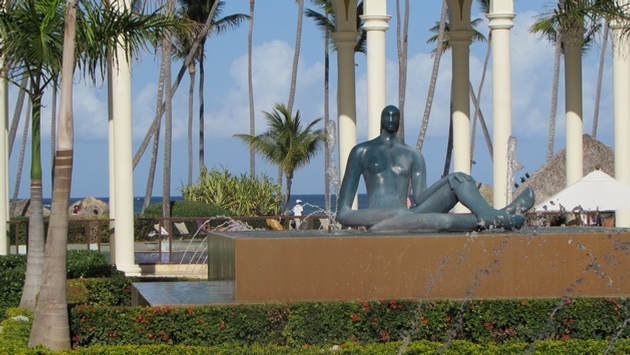 Today, the Punta Cana region is not only connected by new highways to the capital of Santo Domingo and other major cities, it is the center of a multitude of large-scale all-inclusive resorts offering deluxe accommodations, facilities and services set along a seemingly endless series of beautiful beaches. The all-inclusive category has flourished as consumers respond to the format, which offers fabulous facilities in beautiful settings, deluxe dining, amenities and services all available for one price, paid up front. While travelers are naturally attracted to the all inclusives’ great value proposition, the resorts themselves have grown increasingly sophisticated as competition has increased among suppliers. While the Punta Cana region is today the epicenter of the Caribbean’s growing collection of deluxe all-inclusive resorts, there are certainly a handful that offer outstanding examples of the best of the category. Here are five of the very best of Punta Cana’s all inclusive resorts. The 750-room adults-only Breathless Punta Cana offers yet another in the handful of celebrity-themed resorts in Punta Cana. Designed to accommodate “sophisticated couples, singles and groups of friends,” according to company officials, Breathless Punta Cana features upscale amenities and services, including free Wi-Fi and international calling with day and nighttime activities and entertainment. Breathless Punta Cana offers 13 dining options and seven bars and lounges, plus spa and fitness facilities. Wedding services and honeymoon packages are also available. Accommodations: Guestrooms and suites feature ocean views and private terraces, daily refreshed mini bars, 24-hour room service and concierge services. Each room is also equipped with one king-size or two double beds; a furnished private balcony or terrace with a Jacuzzi; a full bathroom with shower and double vanity and a coffee and tea maker. Special features: The resort’s xhale Club offers special amenities and facilities, highlighted by access to two private xhale club lounges. The special accommodations also feature concierge service, personalized check-in and checkout, two private xhale club pools, a pool concierge and bar service and a Jacuzzi set on a private balcony. The Club Med Punta Cana offers leisure travelers an idyllic retreat for destination weddings and honeymoons as well as a family resort for families with children. Couples will enjoy the property’s winding paths and secluded garden and beach-side spots, ideal for quiet reflection and relaxation. Families will find plenty of activities for children, highlighted by the Mini Club Med facility, which features a music academy, an art studio, a water park, an enhanced baby gym, and kids’ sports classes. The resort also offers activities for all ages, from a trapeze school and archery instruction to beachside yoga and Latin dance classes. Water sports, including snorkeling, kayaking and sailing, are also available. Accommodations: Club Med Punta Cana offers 553 rooms located in pastel-hued, three-floor bungalows set amidst the resort’s tropical gardens. Designed for couples, deluxe rooms feature a bedroom and living area separated by a sliding door. Special features: Club Med Punta Cana accommodations are highlighted by the Tiara Luxury Space, a virtual boutique hotel within the resort, offering 32 suites with a lounge area and private infinity pool. The beachside suites are located in pastel bungalows surrounded by luxurious vegetation and measure 753 square feet. Suites feature one room with a connected private bathroom and second rooms for children or guests, plus a terrace that faces the resort’s beach. The Hard Rock Hotel & Casino Punta Cana Hotel brings the leading edge of celebrity culture to the Punta Cana district. The sprawling 121-acre maintains the style established at Hard Rock properties across the world, with photographs, instruments, garments, records, and paintings tied to global music icons. The resort offers top-shelf facilities and amenities, attentive service, deluxe accommodations and several dining options. Free-flowing canals wind across the property, flowing from a massive reflecting pool that extends from the center of the property to the edge of Macao Beach, hundreds of yards away. Accommodations: The resort offers 1,790 rooms including 1,055 Caribbean suites; 192 Island Junior suites, 38 two-bedroom Family Caribbean suites, and 39 concierge level suites. The deluxe accommodations are highlighted by 206 two-bedroom, 2,500 square-foot Signature Presidential suites. All rooms offer balconies, double in-suite Jacuzzis and extra-large marble tiled showers. Special features: The 60,000-square-foot Rock Spa rivals the best facilities of its kind, and includes 48 spa suites including indoor and outdoor couples’ suites and two Golden VIP suites. The facility features one of the Caribbean’s most extensive hydrotherapy circuits, with cool and warm lagoons, an herbal steam room, a clay steam room, sauna, and an ice room. The upscale Paradisus Palma Real resort features many outstanding qualities, not the least being its impressive landscaping and architecture. The resort’s flora and fauna are amazingly diverse even in this routinely lush region, and the beach is lined with tall coconut palm trees. The large central courtyard features graceful fountains bordered by generous gardens and stately terra-cotta topped arches. Accommodations: Paradisus’ rooms are highlighted by “Royal Service” accommodations that feature exclusive amenities, facilities and services, including personal butler service and private, VIP check-in and check-out at a Royal Service lounge. The lounge also offers daily continental breakfast, Internet access and evening cocktails and hors d’oeuvres. Suites here feature marble floors, stocked refrigerators, CD and DVD players and large bathrooms with two-person whirlpools. Special features: Martin Berasategui, the Basque celebrity chef who holds seven Michelin stars among his various eateries, operates an on-property Passion restaurant offering gourmet tasting and a la carte menus for a separate charge. The restaurants feature elegant, somewhat whimsical decor with massive jeweled chandeliers, secluded banquettes surrounded by circular partitions covered in intricately adorned wallpapering, and a rich, romantic atmosphere. The beachfront Sirenis Punta Cana Resort & Aquagames, located along Punta Cana’s Uvero Alto breach, offers fun for all ages with a disco, casino, and a new Aquagames water park. Families will find several dedicated facilities, including a Kids Club with outdoor activities for children. For adults, the resort offers swim-up bars, a casino and a dance club. Dining options include two buffets and seven themed à la carte restaurants with cuisine ranging from Asian to Mediterranean. Accommodations: The resort features 816 rooms in double, junior suite and suite configurations, all equipped with mini-bars that are replenished daily, satellite TV, and furnished balconies. Special features: The Aquagames Water Park is included as part of the resort’s all-inclusive package and features high-adrenaline water slides, relaxing pools and hammocks where parents can lounge away the hours.